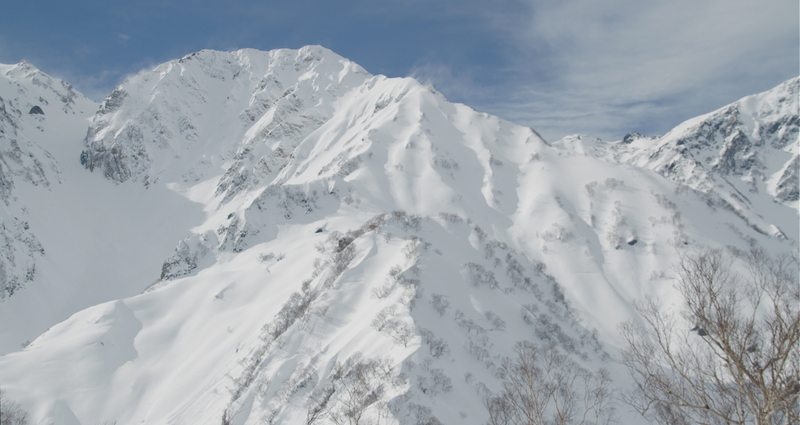 Like their name suggests, the Japan Alps are massive— bigger and more extensive than any mountains I’ve ever seen. 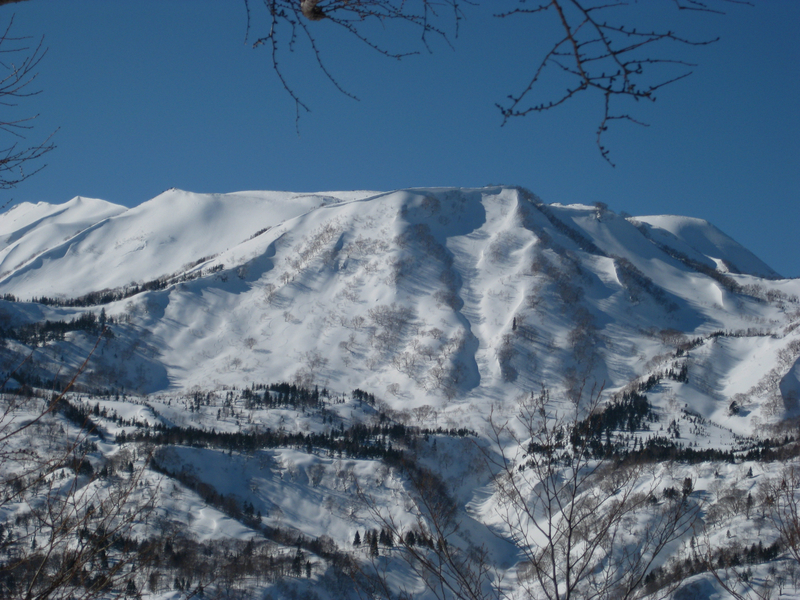 Steep, spired, and caked with snow at the top, they smooth into long open slopes with patches of beech, willow, birch and tamarack trees. From Alaskan-style steeps to some of the best tree skiing in the world, they hold a staggering variety of terrain— all within reach thanks to an extensive lift system and open backcountry gates. 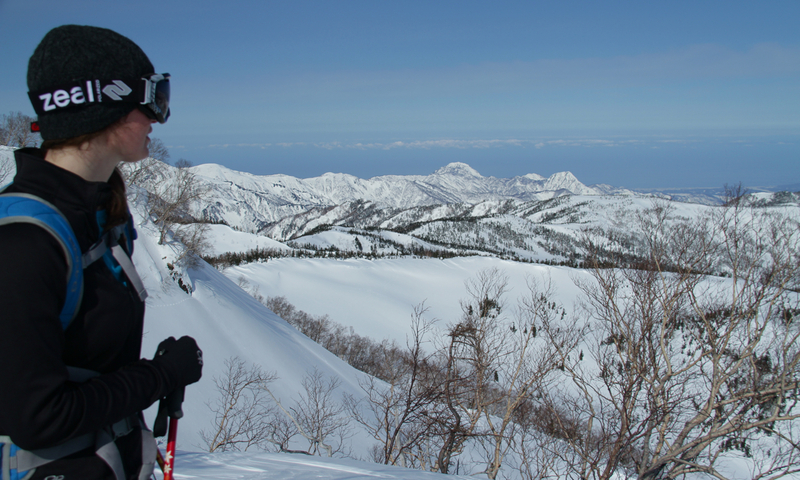 Our week of skiing in Hakuba included some of the most inspiring views and best runs of the trip. 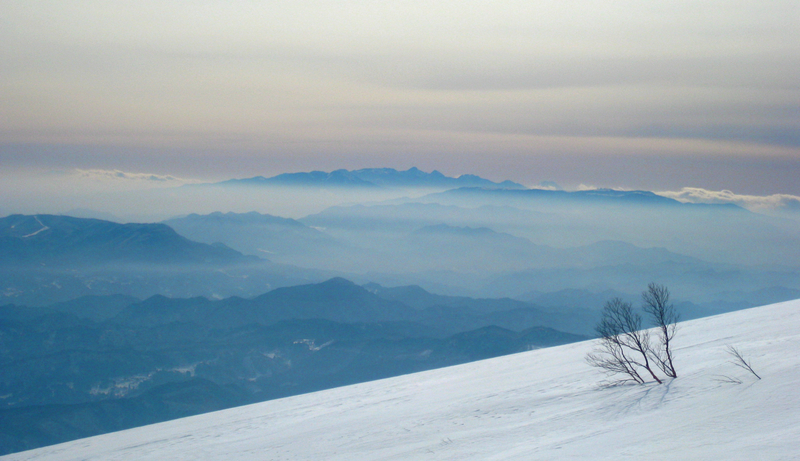 Sometimes we could see the Sea of Japan, framed by snowy ridges. To the south, a slight haze often filled the valleys, and faraway peaks rose out of the blue mist. And the 3,000-meter high peaks of the Alps always loomed above. Steph looking west to the Sea of Japan. We met a group of three friendly Alaskans at Hakuba Powder Lodge, our home for the week, with whom we ended up touring every day. It was great to have some company, as well as a few extra opinions on the snowpack and safety in the backcountry, not to mention some insider info on the area’s best terrain. 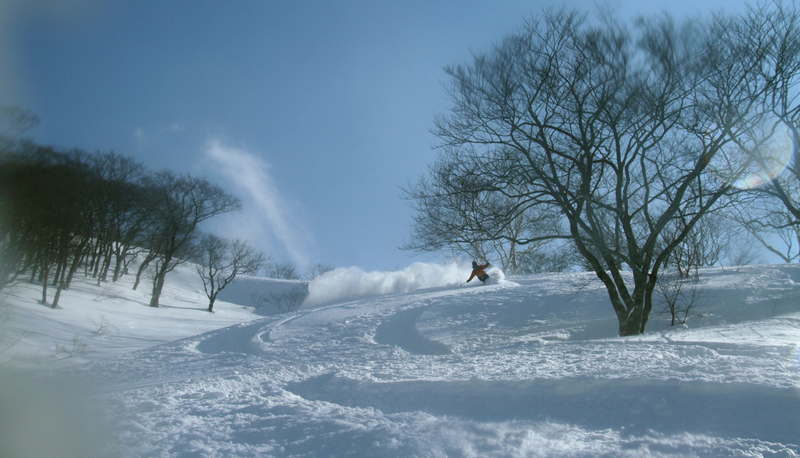 All six of the major ski areas that line the edge of Hakuba’s valley floor offer single-ride tickets—perfect for easy access to backcountry skiing. We’d gain thousands of feet in elevation for a few bucks, then skin out from the top of the lifts. Looking back at yesterday's tour. The ridge half in shade on the right was our first day's line. 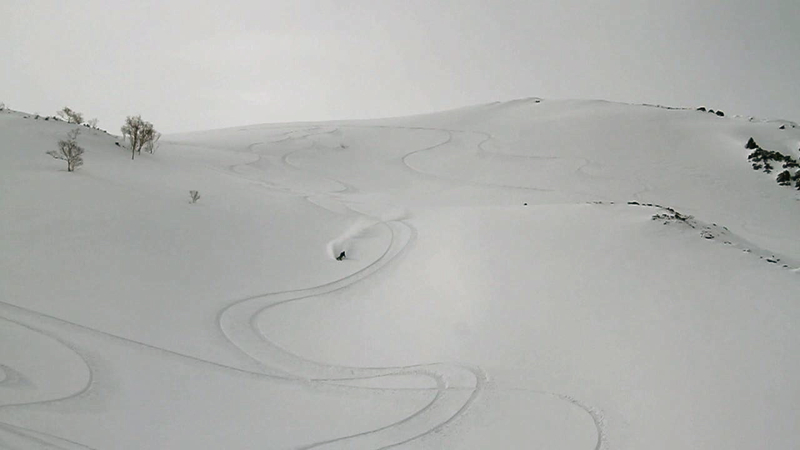 Erika from Alaska finding some north facing powder. 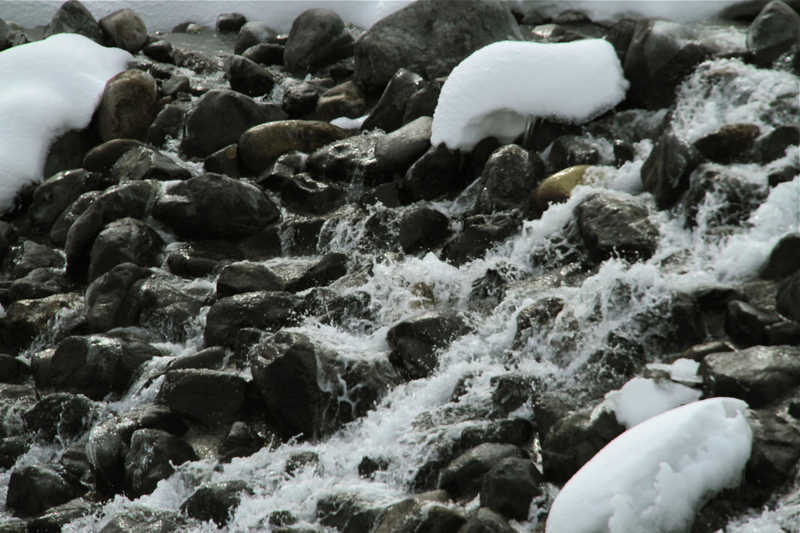 Away from the crowds of resort skiers, the mountains become a totally different place. The recorded lifts announcements and the sounds of skis crunching on groomers fade, and animal tracks loop in every direction. A day hardly passed without seeing a kamoshika, as they picked their way across ridges and watched us sedately. Just being outside surrounded by mountains and forest was enough to take our minds off our tired feet and burning lungs as we skinned. 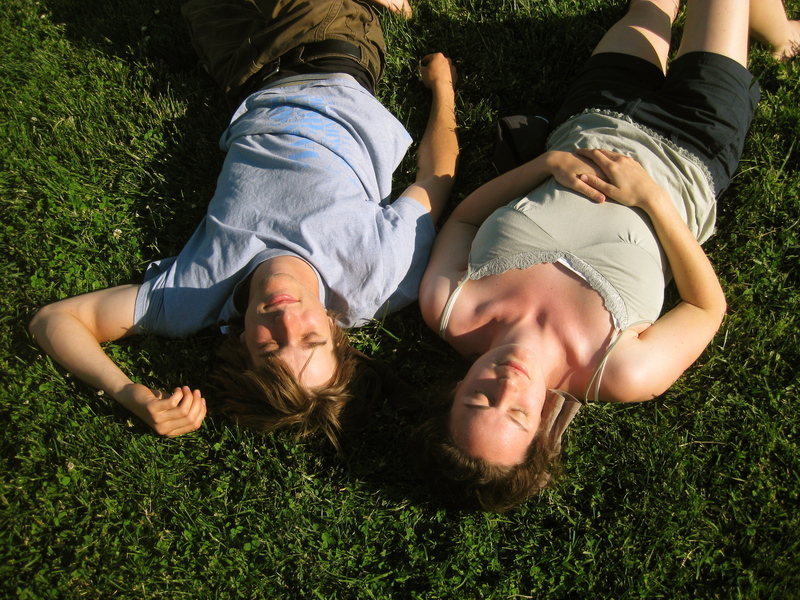 The sun shone nearly every day (Nate has an enviable goggle tan) and sometimes it would get legitimately hot, forcing us to stick to the shady north facing aspects for good snow. After hard, leg-burning days of resort skiing at Rusutsu and exhausting full day tours at Tokachidake, this style of skiing felt just right. An hour or two of climbing followed by a long descent and scenic traverse out along a riverbank suited us perfectly. Our last day in Hakuba, we hiked above the lifts of Happo-One— the valley’s flagship ski area and site of the 1998 Olympic downhill runs— and dropped off of the north side for a 3,000 vertical foot descent. Although just a few inches of new snow had fallen, more had blown in on a stiff east wind, erasing all the tracks from the weekend. 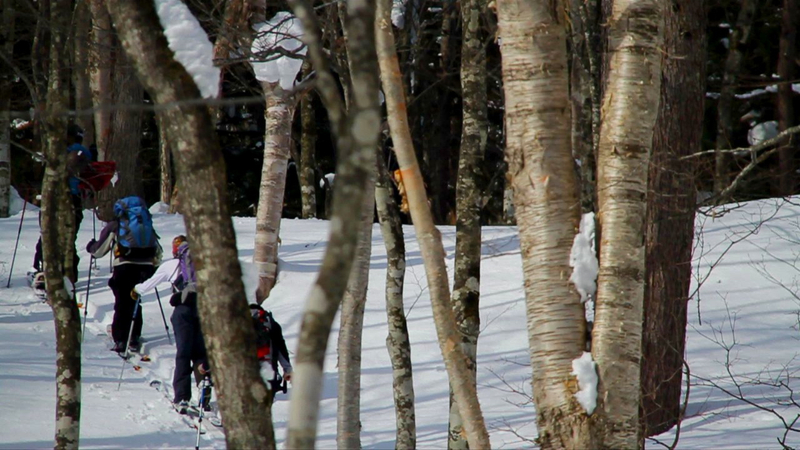 About to drop into the north side of Happo. Steph's line on the right. The terrain was wide open and huge, even larger than it appeared from above. 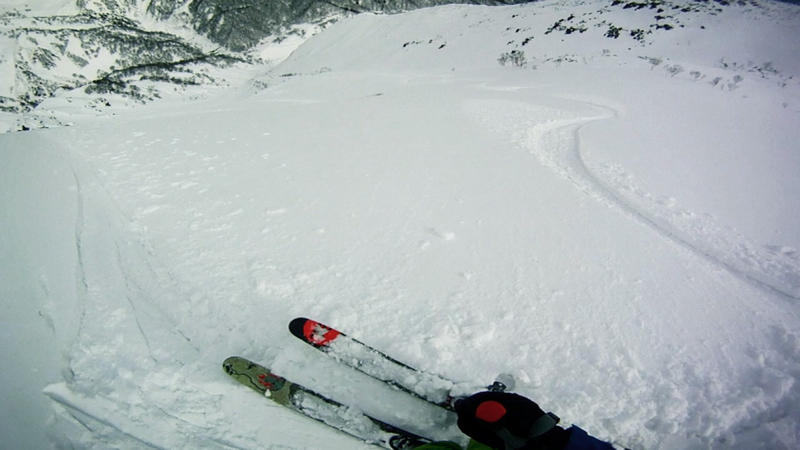 It was one of the best runs we had on the whole trip, and an ideal way to end our ski season. 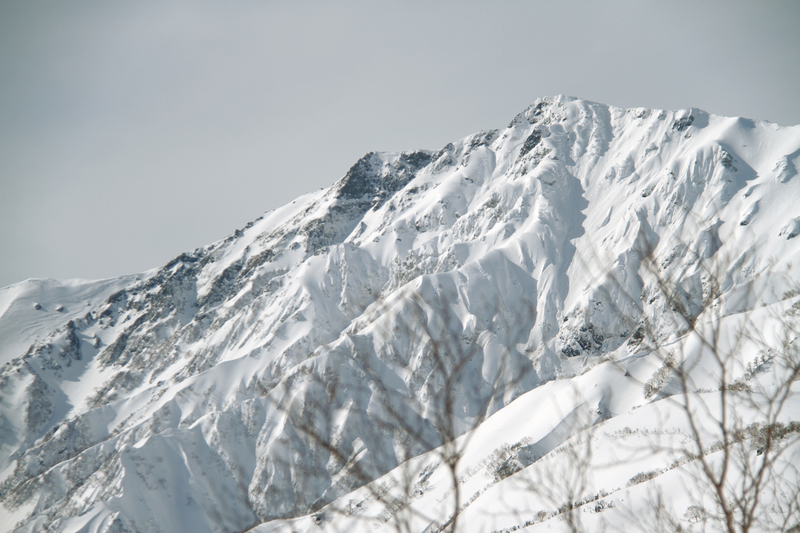 It would take an entire lifetime of winters in Hakuba to ski all the terrain here. During our week of exploring, we barely scratched the surface. 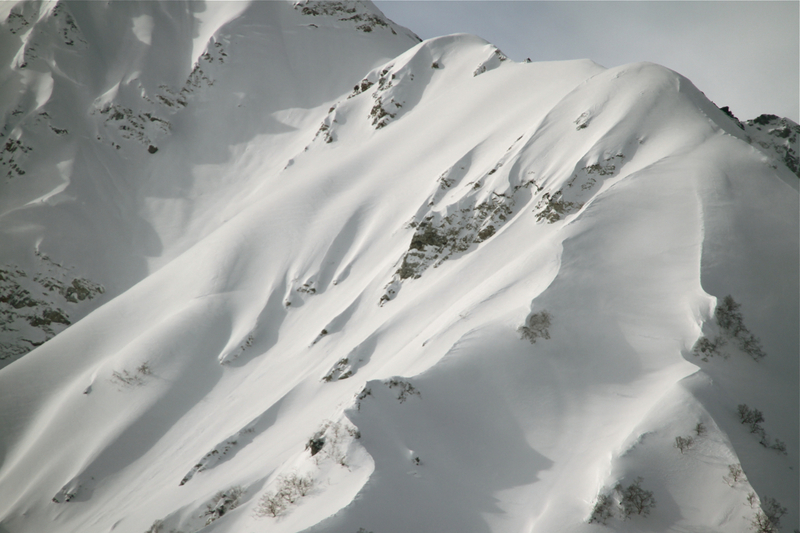 Whenever we reached the top of our intended line, in every direction were more bowls, chutes and ridges to ski. Therefore, it’s been decided: we’ll just have to come back. Terrain for the next trip. 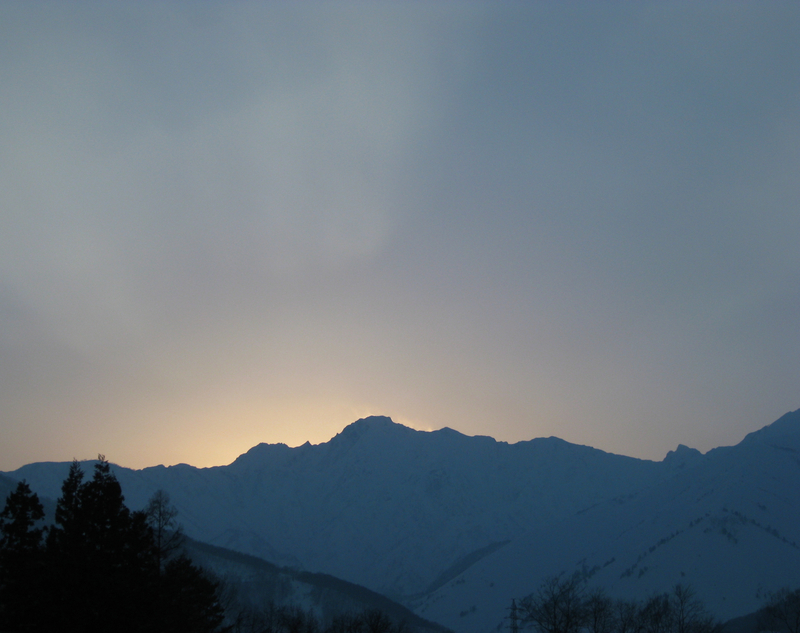 Sunset behind Goryu-dake, 6500 feet above the valley floor. 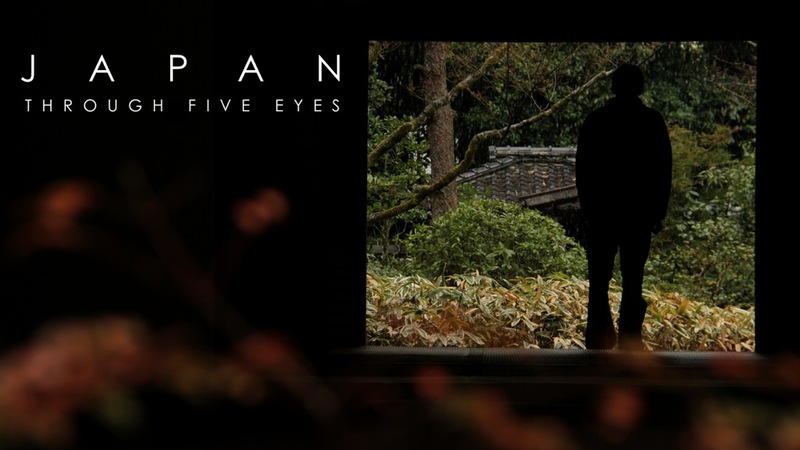 This entry was posted on February 9, 2011 by Five Eyes Films. 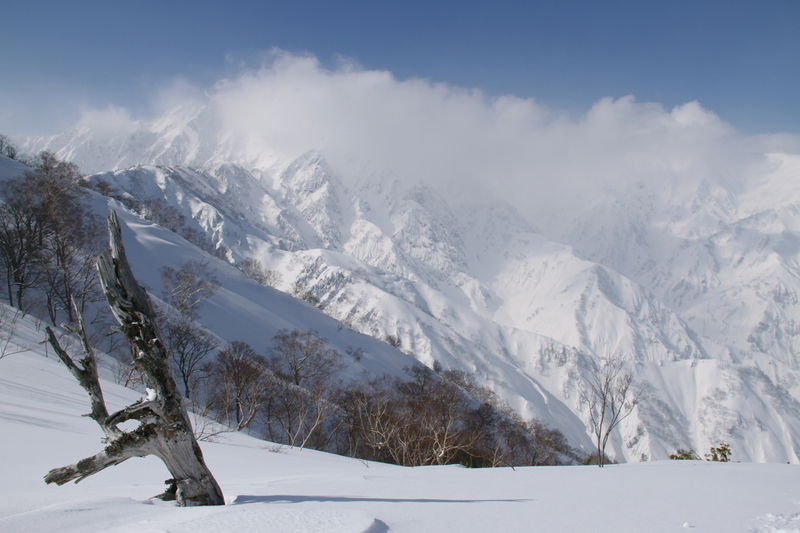 It was filed under Uncategorized and was tagged with japan, mountains, skiing. It looks absolutely beautiful!!!!!! So glad you guys are still having fun… love and miss you! Great pics and finally thanks for some actual face shots – good to see your smile again! Your dad suggested I look at your website. Aweseome pictures, but I didn’t see any video. How do I get a gig like yours?